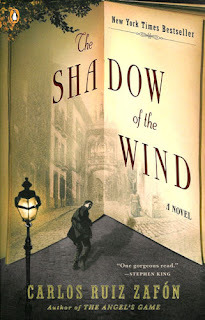 My heart has now recovered, since I took a brief hiatus from The Shadow of the Wind, and I am ready to finish the novel. I should have a final review by the end of this weekend. I leave you today with a little quote I'm fond of for purely personal reasons. When I was growing up, I always disliked the color of my eyes. There was always plenty of songs about girls with blue eyes or brown eyes or green eyes, but never one about hazel eyes. I didn't like that my eyes were more than one color, and they seem to change colors according to what color clothes I wore. Don't get me wrong, I like them now,...but I can remember desperately wishing (for most of my teenage years) my eyes were just one color. "Her eyes were a greeny blue, but she insisted on describing them as 'emerald and sapphire.'" "I don't believe in God. Do you hold that against me?" The teacher smiled and said, "No, of course, I don't. It's OK with me if you don't believe in God." The boy seemed puzzled. "Don't you believe in God?" he asked, "I mean, you've never said that you do,...but I think you do." "Yes," she said, "you're right, I do." Still a bit confused, he decided to clarify his original question, "And you'll like me anyway,...even if I don't believe?" The teacher looked the boy in the eyes and didn't hesitate to answer, "Absolutely." The student's curiosity continued to get the best of him. He valued his teacher's opinion and was still worried about what she thought of him. "Well, what do you think about the fact that I don't believe in God?" he asked. The teacher knew her student quite well, and they had already had numerous conversations about a variety of things. In fact, he was fond of telling her everything he knew about dinosaurs and sharing pictures he drew of them. She decided to take a different approach to put his mind at ease. "Correct me if I'm wrong," she said, "but...don't you believe in Bigfoot?" He smiled shyly,"Yes, you know I do." "Well, I don't believe in Bigfoot," she declared (a fact he already knew from their previous conversations). "Do you hold that against me?" she asked. He took her question to heart and shook his head, "Oh, no, of course not." He began to understand. "Can I tell you something else? You've only been living and breathing on this planet for eleven short years. You will have many experiences in your life as you grow up, and you will learn a lot. Your opinions and beliefs about many things may change from now until the time you become a man. You'll figure it all out for yourself. I trust you. You're a smart boy," the teacher assured him. This time she was rewarded with a big, genuine smile from her student. He relaxed his shoulders and nodded. She knew he understood and believed her now. She smiled back at his sweet face, patted him on the arm, and sent him on to his next class. As she watched him walk away, she couldn't help but wonder why he felt that someone who believed in God wouldn't accept him or like him. She thought the first person to accept and love someone should be a person who believes in Him. Did you have one of these when you were growing up? I did, and I absolutely loved it! I often credit the Show 'N Tell as one of the reasons I learned to love reading. It made stories come alive for me. The one I had looked just like the one in the picture shown here. It makes me smile just looking at it. I would spend hours listening and watching the books that played on that little red and white plastic television. I would put a record on the player and put the slide in to see the pictures along with the story. When I learned to read, I would read everything on and in the cover of the record jacket. My most vivid memory of the time I spent in front of my Show 'N Tell was listening and watching the story of Jane Eyre. I was always mesmerized at the parts where the crazy wife is screaming in the tower, and I remember the picture of the flames when she set the mansion on fire. No matter how many times I saw it, I was fascinated at the contrast between the calm of Jane and the insanity of what was going on in that house. I also remember that it always made me feel sad at the end. 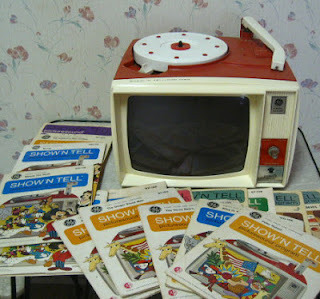 I believe that wonderful little plastic television is one of the reasons I play such great movies in my head when I read (which is why I get so absorbed when I'm reading a fiction story). I tell my students all the time that there hasn't been a moviemaker yet who can make a movie that comes close to the fabulous visions I have in my head when I read. It is why I prefer to read instead of watching television or movies. Yes, I do watch them sometimes, but it's usually a choice I make when I'm tired and don't feel like thinking. I'm still amazed when I realize how fortunate I was to be exposed to Jane Eyre at such a young age. I think about how often I hear what children should and shouldn't be reading. 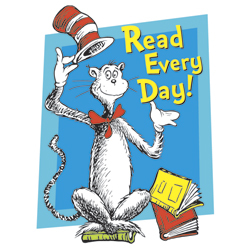 I think about how many children aren't reading, on a regular basis, at all. I haven't figured out yet why society thinks that the more technology we have, the less our children need to read and write well...when exactly the opposite is true. When children have so much information thrown at them, through access to the world-wide web, they need to know how to read well and discern good information from bad. They need to know how to respond to something in writing, to give their opinion, and to state their side of things. Not to mention, much of what they write is ON the internet, and they have a much bigger audience reading what they write! I told myself that I would be honest when I decided to be a blogger. I mean, there are things that do not have to be said, but...I think some things should be said - even when they are difficult to reveal and explain. Reading is an important and wonderful thing because it opens doors and windows to other worlds we might never explore in real life. It also allows us to explore the mind of the person who wrote it. We are reading their thoughts, exploring their imagination, and being transported to a place only their words can take us. No two journeys are ever the same. There is another reason why reading is wonderful and, for me, it is the most important reason to read. Reading opens up doors and windows inside our own minds, to help us examine ourselves, ask ourselves questions, and reveals parts of our own internal world that we don't always see. And, sometimes, don't want to see. A truly good book gives you an exploration of both these worlds - someone else's and your own. This doesn't mean that a "good book" always has a happy ending or is something that you can relate to completely. Sometimes a good book shakes you up, leaves you wondering, makes you question something you were always so sure about, or makes your heart ache. Everyone reads a book from their own point-of-view, bringing in their own experiences, so that no two people experience any one book exactly the same. Amazing, isn't it? I think so. I also think that's why it's no easy task for me to honestly recommend a book to another reader without, first, asking myself how much of what I loved about it was based on some bell of truth it rang in my own soul. I have read books that moved me greatly, but does that mean it would move someone else in the same way? Maybe. Maybe not. I said all of that to say this: I am more than halfway through The Shadow of the Wind, but I had to stop reading last night. You see, I found myself swimming in deep water (what I call a moment of reading crisis). There was too much in the book that rang too true in my own heart and made it ache. My reading journey was becoming a bit too intense, and I needed to take a break...and breathe. If what I say sounds crazy, then you have not experienced what I do when I read. Maybe you enjoy reading but you're not quite the bibliophile I am,...or maybe you just haven't found a book that speaks to your mind and your soul...yet. If you haven't, I hope you'll keep looking. I believe your brain needs a book to have those conversations you'd never have with anyone else. I am anxious to finish The Shadow of the Wind, but know my brain too well. I need to absorb what I have already read, and settle it in my heart, before I pick it back up in a couple of days and finish it. (I guess you could say, I have to know I have the energy to swim through the deep water and make it safely to shore.) 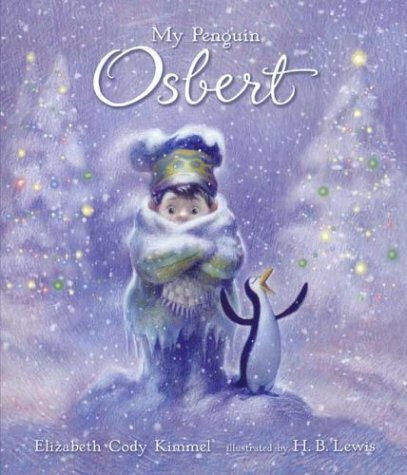 It is an incredible book with many twists and turns and a story inside of a story. I agree with Stephen King who called it, "One gorgeous read." It is most definitely that! "Life does not consist mainly, or even largely, of facts and happenings. It consists mainly of the storm of thought that is forever flowing through one's head." "Real women are won over bit by bit. It's all a question of psychology, like a good faena in the bullring...I'm not in a hurry, you see? All good things must wait. There are yokels out there who think that if they touch a woman's behind and she doesn't complain, they've hooked her. Amateurs. The female heart is a labyrinth of subtleties, too challenging for the uncouth mind of the male racketeer. If you really want to possess a woman, you must think like her, and the first thing to do is to win over her soul. The rest, that sweet, soft wrapping that steals away your senses and your virtue, is a bonus." "Well, this is a story about books." "About accursed books, about the man who wrote them, about a character who broke out of the pages of a novel so that he could burn it, about a betrayal and a lost friendship. It's a story of love, of hatred, and of the dreams that live in the shadow of the wind." I forgot to mention the book I was supposed to finish this past weekend. Needless to say, between all the wonders there were to see and the interesting conversations with my wonderful traveling companion, I didn't have as much time to read as I anticipated. In fact, I didn't read at all until I got on the plane to come home! "I still remember the day my father took me to the Cemetery of Forgotten Books for the first time." "I glided up to the first floor, blessing the blades of a fan that swirled above the sleepy readers, melting like ice cubes over their books." "In my schoolboy reveries, we were always two fugitives riding on the spine of a book, eager to escape into world of fiction and secondhand dreams." "One of the pitfalls of childhood is that one doesn't have to understand something to feel it. By the time the mind is able to comprehend what has happened, the wounds of the heart are already too deep." "Without further ado I left the place, finding my route by the marks I had made on the way in. As I walked in the dark through the tunnels and tunnels of books, I could not help being overcome by a sense of sadness. I couldn't help thinking that if I, by pure chance, had found a whole universe in a single unknown book, buried in the endless necropolis, tens of thousands more would remain unexplored, forgotten forever. I felt myself surrounded by millions of abandoned pages, by worlds and souls without an owner sinking in an ocean of darkness, while the world that throbbed outside the library seemed to be losing its memory, day after day, unknowingly, feeling all the wiser the more it forgot." Have you ever watched the sunrise over the Grand Canyon? I had never seen the Grand Canyon until this past weekend and to see it for the first time by sunrise was...magnificent! I wish I could describe it to you in words that would do it justice. There are none. I took over 600 pictures to try to capture the beauty I saw, but not one of them could even come close to showing what I experienced. My friend, Robin, and I flew in to Phoenix on Saturday morning and drove to Frank Lloyd Wright's Taliesin West. We thoroughly enjoyed the tour. We ate a fabulous late lunch at The Blue Adobe, which we highly recommend. The patio was lovely, the service was efficient and friendly, and the food was delicious! We were at the Grand Canyon at 6 a.m. on Sunday morning. We knew the "peak" watch time was 7:15 a.m., but we didn't want to miss anything. The minute the sky showed the faintest bit of light, we seemed to hold our breath in anticipation. The Grand Canyon put on quite a show for us. Every ray of sunlight changed what we saw and revealed more and more of the exquisite beauty of this ancient place. We headed to Sedona in the late afternoon, just in time to have dinner on a patio and watch the sunset on the Red Rocks. Again, there are no words or pictures that would translate the experience. I will say, though, that the same word comes to mind when I think of both the Grand Canyon and the Red Rocks of Sedona: peace. Nothing compares to the peace I feel when I look at the natural wonders of this world. It causes me to pause and reflect, gives me a better perspective, and it makes me very grateful. I mention in my profile that there are three things I love: books, music, and travel. Well, I'm happy to say, it's a three day weekend for me, and I am going to take advantage of this time off and travel a bit. I want to go somewhere I've never been and spend time with a friend I seldom see because we're both always so busy. We have to leave town to make ourselves stop working long enough to enjoy some 'hangin' out' time together. Fortunately for me, my friend is also a voracious reader and loves music, so I'll get to enjoy my other two loves while I'm gone, as well. I won't be blogging while I'm gone. While I love technology, I think it's healthy to walk away from it sometimes. No laptop on this trip, and I may even leave Kindle behind. I have this one book I want to finish, so I need to limit my options for the weekend. The book is great, my mind is just too busy sometimes. I'll blog about my excursion (and the book I hope to finish) when I return. I may even have a picture or two to share. I had not heard about it until my friend, Laura, posted the article for me to read. While I read the article yesterday, I decided to mull it over in my mind. You know, be reasonable and not call this guy...well, any number of descriptions come to mind - none of them are pleasant. I think it adds insult to injury that he is an author of children's books. I'm sorry, do children have jobs and earn money to buy his books? Is he aware HOW many children have NO books at home because their parents can't afford them? Help me out here, please. Is this man (and society, in general) really unaware of how many poor people there are out there? They don't live in the deepest jungles of third world countries either. They live right here. By "here" I mean in and around the edges of "middle-class" America. Everybody doesn't come home to warm milk and cookies from a mom who read them bedtime stories when they were little and who also spent all night standing in line for them at a bookstore to buy them the latest copy of whatever children's book is making some author very rich (that author is obviously not Mr. Deary, whose money whining makes me weary). To hear Mr. Deary (whose money woes make him teary), people who utilize the public library are nothing more than moochers. Freeloaders. I mean, come on, you can understand how he feels - right? This guy has poured his blood, sweat, and tears into becoming a writer of children's books so he wouldn't have to get a regular job like the working stiffs whose incomes the author wants spent on his books. Hmmm, interesting, don't you think? Perhaps, just perhaps, if Mr. Deary (who should be renamed "Dreary") spent more time writing interesting, action-packed, original children's books instead of just hitching a ride on the writing trail by regurgitating history in a form that children will swallow,...maybe, juuuust maybe,...he might get all the money those rich parents used to spend on the Harry Potter series. Annnnnd, maybe,...just maybe...he might get a movie deal and become a big deal like J.K. Rowling (who, by the way, was once a single parent who had to live out of her car...and was one of those people who would have needed a public library to read a book or let her daughter read a book). "My parents danced together, her head on his chest. Both had their eyes closed. They seemed so perfectly content. If you can find someone like that, someone who you can hold and close your eyes to the world with, then you're lucky. Even if it only lasts for a minute or a day. The image of them gently swaying to the music is how I picture love in my mind even after all these years." The Name of the Wind sat patiently waiting for me to read it while I was busy reading other books. I went through a lot of changes in my life last year. I faced a lot of truths - truths about other people in my life and truths about myself. I had known these truths inside my own heart and head for a long time, but I needed to change my life on the outside to reflect what I knew on the inside. This was not an easy task. It was a long year. On the fateful day I chose The Name of the Wind from my bookshelf, I was feeling almost like myself again. I only needed a little more balm to help some old wounds heal enough for me to count them as new scars. I needed something that day, something that would refresh my soul and make me believe in something again. I needed a magical distraction, an escape, for awhile. I needed a break from all the reality I had been handling. I remember reaching for the book, running my hand over it, and reading the back cover - reminding myself of why I had originally bought it. I smiled a sad little smile at it and hoped it was the medicine I needed. I curled up in my favorite chair with my soft, purple blankie and a hot cup of coffee. I could have selected any unread book from my shelf, but I'm so glad I chose that one...or, perhaps, it chose me. The Name of the Wind is a medieval tale about a man named Kvothe. The novel is written as a story inside a story. In other words, there is "present day" going on in a medieval inn where a man is telling a story. The story he tells is about Kvothe's life, and how Kvothe became a legendary hero. It is a great adventure story, but on its edges (and at its core) it is a love story. I didn't say 'romance,' I said 'love'. (There's a difference, you know.) Love of family. Love of friends. (and, yes, eventually...) Love of one woman. The author, Patrick Rothfuss, has a way with words that makes me laugh and sigh and smile and re-read. He also has a quick wit and is great at writing banter between characters. It is the way he turns a phrase that had me tabbing passages because I just loved the way the words fell together. The scenes with Kvothe and a minor character, Auri, are some of my favorite and always ended up with tabs because I enjoy the way they talk to each other. Trust me, there is a lot to enjoy about this novel. In the end, I found much more than the balm I was looking for when I started the book. I found a writer I could admire. 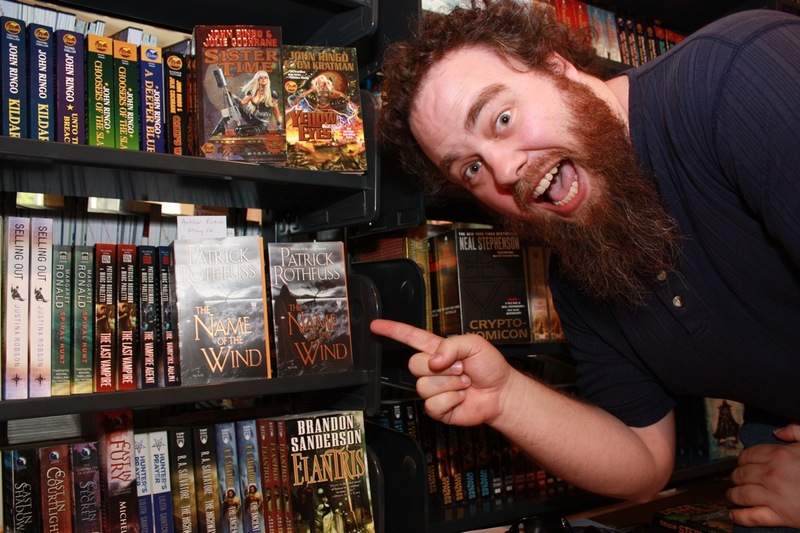 I have become a fan of Patrick Rothfuss. I love to read his facebook page, watch his podcasts, and hear him interviewed. He seems to be a down-to-earth kind of person with a wicked and warped sense of humor who doesn't take himself too seriously. How can you not like a guy like that? He is currently working on the third book to The Kingkiller Chronicles. ...He hesitated, struggling to find the words he wanted. "You see, there's a fundamental connection between seeming and being. Every Fae child knows this, but you mortals never seem to see. We understand how dangerous a mask can be. We all become what we pretend to be." Chronicler relaxed a bit, sensing familiar ground. "That's basic psychology. You dress a beggar in fine clothes, people treat him like a noble, and he lives up to their expectations." "That's only the smallest piece of it," Bast said. "The truth is deeper than that. It's..." Bast floundered for a moment. "It's like everyone tells a story about themselves inside their own head. Always. All the time. That story makes you what you are. We build ourselves out of that story." I have stated before that I like all genres of books, and I do, but - just like music - I have my preferences. Typically, I enjoy reading non-fiction or historical fiction. I am a big fan of Mark Twain, Kate Chopin, C.S. Lewis, J.R.R. Tolkien, Henry James, Joan Didion, Sandra Cisneros, and Stephen King (less of the scary stuff, more of the insightful stuff). I'm happy to add Ernest Hemingway to the list, after my readings over the last year. Those may seem like an odd sample group to put together of the numerous authors I love (and, trust me, they are numerous), but those are the names that first come to mind when I hear the word "author". Before finding The Name of the Wind by Patrick Rothfuss, I would have said that I like fantasy books, but they aren't at the top of my list. Yes, I realize I have Lewis and Tolkien on my list,...and I know those are fantasy but, let's be honest, who doesn't love Lewis and Tolkien? You don't have to be a big fan of fantasy to love those two. You just have to be an intelligent reader. 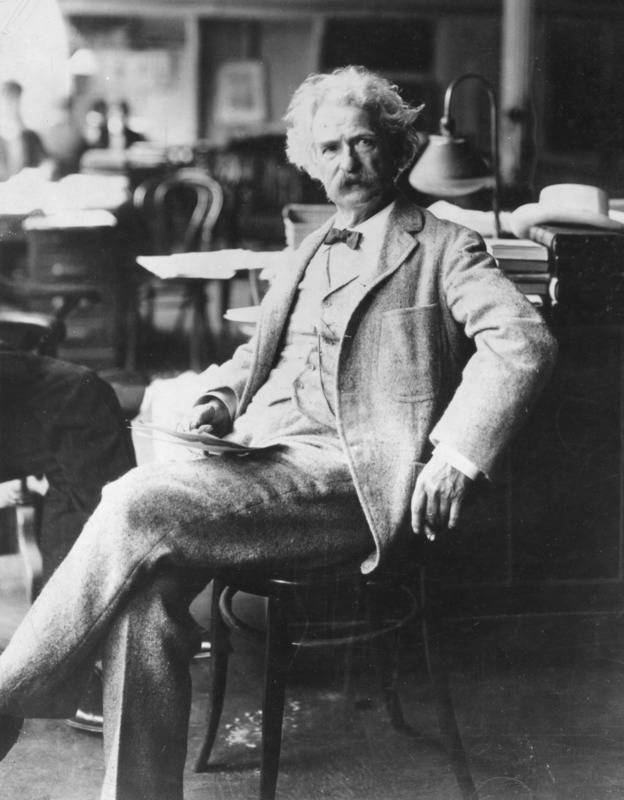 Great writing is great writing, regardless of genre. 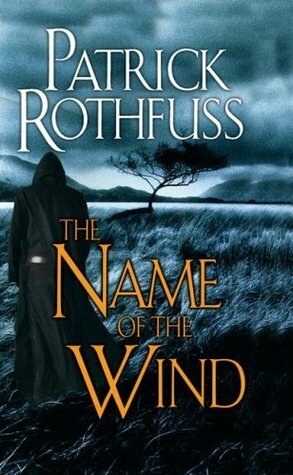 Of course, my opinion of fantasy changed when I found The Name of the Wind. It was one of my random choices when I was at the bookstore one day. I was scanning shelves to see what stood out to me. There was no rhyme or reason to my search, just hoping to find some hidden treasures. I had never heard of the book or the author until the moment I pulled it off the shelf. I previewed the book and was intrigued. I was intrigued enough to buy the book, but I didn't hurry home to read it. In fact, I put it on my favorite little bookshelf to be enjoyed at a later date. I knew why I wanted to read it, but figured I would read it after the two books I already had stacked up to read. Little did I know,...a lot of things would happen in the year I owned that book. I have been mulling over words in my head trying to choose the right ones to help you understand the journey I found myself on with Hemingway. I'm still not sure I can say what I mean, but I'm going to try. I don't mean to go on and on about the author because if you've read him, you know. If you haven't read him, you should. I will tell you, though, I have to read him in small doses. He gets to me, gets in my thoughts, and stays there awhile. Hemingway writes clearly and concisely about humanity,...about what makes us who we are. He writes about our bravest, best moments...and our weakest, not-so-great moments. He had this fabulous gift of selecting just the right words, and he could take a moment - a simple, ordinary moment - slow it down and make you see it for what it really was: ugly or beautiful, painful or healing, a truth or a lie. He does it in a way that strikes my heart to the core. At times, he does it with a sense of humor. Other times, he uses sarcasm (one of my favorites) and irony. Too often, for my heart, his candor is tinged with a sadness that is palpable. His words may seem simple, but they are profound. I think about The Old Man and the Sea from time to time. Have you read it? I read it after The Sun Also Rises. Hard to believe, as much as I read, I had gotten this far in life without reading that book. It's a life lesson, you know. Actually, it's many lessons - the whole book. 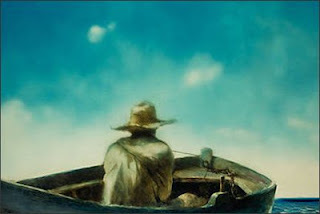 It is an analogy for so many things (including how Hemingway felt about his own life) and, yet, it's also a simple story about an old man, a boy, a boat, and a fish. Hemingway was, in my opinion, an incredibly gifted man who didn't quite know how to handle his gift on a personal level. He let his mind go to places that some people have no idea even exists. For others, who know it exists, they choose to keep their minds within the borders where they feel safe. They know better than to go too far down a dark path. I wish Hemingway had known how to find his way out of the darkest paths of his mind. I don't think he ever intended to stay there. 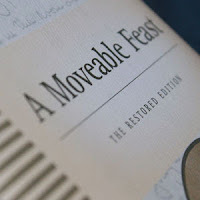 When I finally read The Moveable Feast, it made my heart ache. I knew it would. It was why I put it off for so long, even though I wanted to read it. 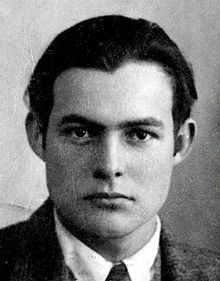 To read a man's words about his own life, reading the last things he wrote, and hearing the regret and pain in those words is very difficult for me and makes me feel very tender towards Hemingway. When I read his words, I want to tell him that I understand. I want to let him know that sometimes we all feel the way he felt, even though we're often too afraid to feel. Most of all, I wish I could thank him for his words, for sharing his gift with the rest of us. "You can't get away from yourself by moving from one place to another." "I misjudged you, " Harvey said. "You're not a moron. You're only a case of arrested development." There are people to whom you could not say insulting things. They give you a feeling that the world would be destroyed, would actually be destroyed before your eyes, if you said certain things. "Good. Coffee is good for you. It's the caffeine in it. Caffeine, we are here. Caffeine puts a man on her horse and a woman in his grave." "Let us rejoice in our blessings. Let us utilize the fowls of the air. Let us utilize the product of the vine. Will you utilize a little, brother?" It was pleasant to be drinking slowly and to be tasting the wine and to be drinking alone. A bottle of wine was good company. Afterward I had coffee. "Yes," I said, "Isn't it pretty to think so?" 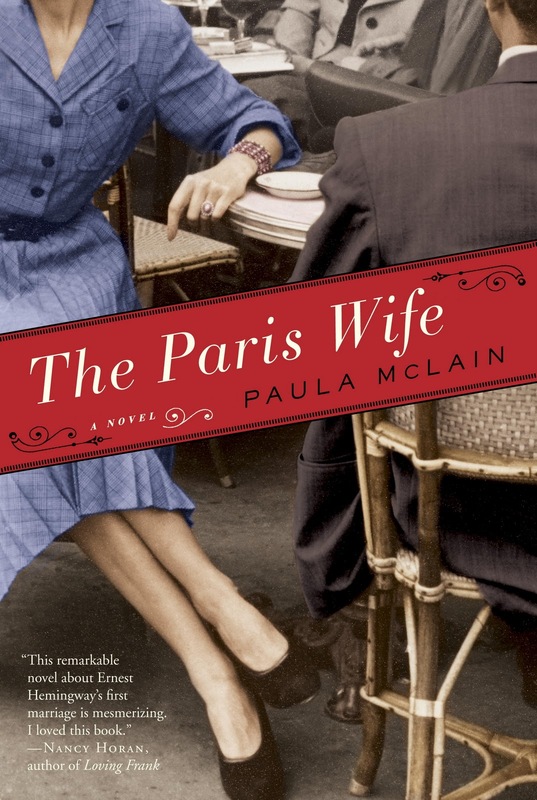 The Paris Wife, by Paula McLain, was the next book Kindle put in my path. It is the story of Ernest Hemingway's first wife, Hadley Richardson (Hemingway was married four times). The story is told from Hadley's point-of-view, and it is an incredible story. 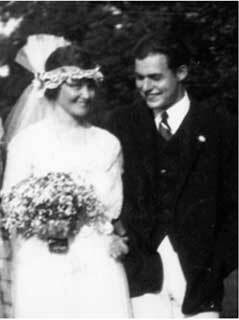 Their married years together took place in Paris in the 1920s when Hemingway was a struggling writer. The setting itself gives their story a very surreal feeling. The adventures they had, and the people they knew, were amazing. What is most amazing to me, though, is how wonderful their ordinary day-to-day life together was. I know the author did her homework on this one. I have seen several of her interviews, and I have looked into many of her sources. I feel McLain gives Hadley the voice she deserved. And, after reading Hemingway's own words about his first wife (words he wrote while married to his fourth wife, I might add), I'd say it was the voice he would have wanted Hadley to have and felt she deserved, as well. 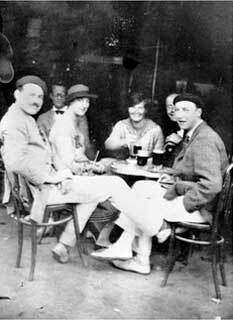 It was because of The Paris Wife that I began my own research into Hemingway, his life, and his writings. Kindle suggested that I read Hemingway's The Moveable Feast next. I knew I wasn't ready. My heart wasn't ready. I was not prepared to see the last words Hemingway wrote about his life. What I was prepared to do, however, was to notice the trail I had begun,...and I made the choice to take a deeper path into the woods of Hemingway's life. While I was trying to decide what book of Hemingway's to read first, a friend of mine asked if I'd ever read The Sun Also Rises. It was a book that was written when Hemingway was married to Hadley and was written about in The Paris Wife. I decided that book was a good place to start in getting to know more about the famous author. I headed to the bookstore this time. I just couldn't download Hemingway to my Kindle. It just felt wrong,...and I convinced myself it would make him roll over in his grave. In my previous post about Kindle, I mentioned how he often suggests books I might like to read. Well, I often take a suggestion and run with it. By ‘run with it’, I mean my natural curiosity (along with my research skills) tends to take over. I’d like to take you down one of my accidental reading trails that all started with one little non-fiction story. It was late one night, and I had just finished a good book. I wasn’t really ready to go to bed, but I wasn’t in the mood to start another big novel. After scanning my bookshelf (“Hmmm, collections of stories, maybe?”), I decided to ask Kindle what looked good...for free. I came across several good Kindle single stories that looked interesting. One, in particular, caught my eye because there was a world map with old black and white pictures on it. The price wasn’t free, but it was only $1.99. The name of the single was "My Mother’s Lover". 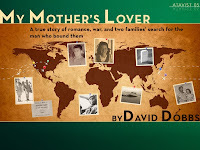 The synopsis began, “On her deathbed, David Dobb’s mother Evelyn Jane revealed a secret she’d kept for 60 years about the man she had truly loved and lost...” and I was hooked. I enjoyed the single very much and was glad I’d read it. 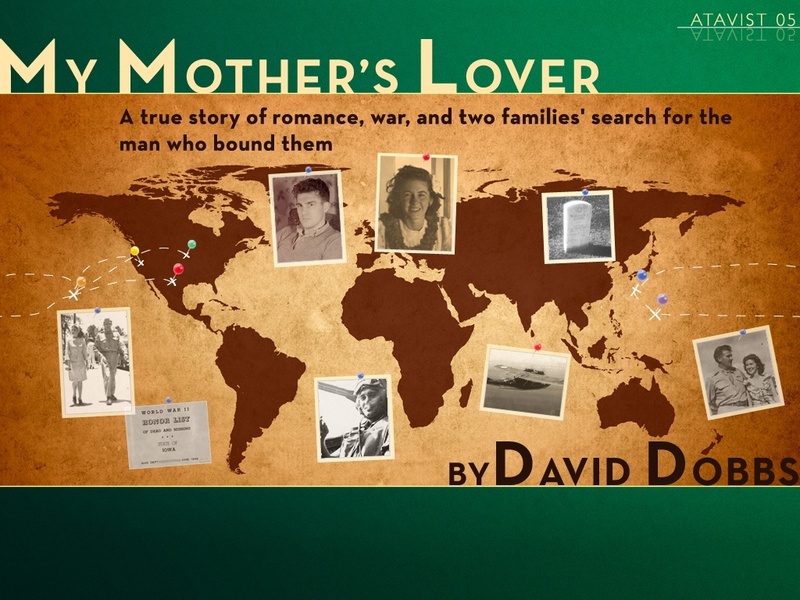 "My Mother’s Lover" was not the first non-fiction single I had downloaded and enjoyed, but it was the first one that sent me down a long and interesting trail. After I finished that single, Kindle suggested that I read Loving Frank by Nancy Horan. It is a historical fiction about Mamah Borthwich Cheney and her love affair with architect, Frank Lloyd Wright. It is a fascinating story and one that I couldn’t even begin to try to describe to you. It wasn’t a typical love affair but, after reading and researching the facts, I can assure you that Mamah and Frank were far from being typical anything. While the author added interaction between characters that no one could possibly know for sure, Horan did her research - which included Mamah’s letters and translations she did for Ellen Key, along with many other non-fiction sources. 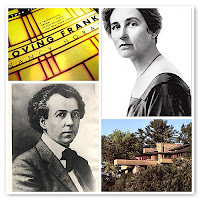 Loving Frank is one of those ebooks that was good enough to buy as a real book to put on my shelf, and I knew I would want to re-read. I also decided on my next trip to Chicago, I’d be sure to add a tour of the homes that Wright designed. I also plan to make a trip to Taliesin and Taliesin West one day (both homes that Wright designed and lived in). As I said, the story of Mamah and Frank is fascinating...and unforgettable. Oh, wait. This could take awhile, as following a winding path often does. I tell you what, I’ll post about the next book tomorrow. I have a middle school student who came to me about trying to find her "just the right book". She doesn't like to read, but knows she needs to read. So far, she's sampled several books I have recommended, but brings them each back after a few days. I appreciate that she doesn't hold on to one and pretend to read it, as so many middle school students do. This student says it is difficult for her to see pictures in her head and hear the voices of characters (what I call 'making a movie in your mind'). She feels that if a fiction story could center around a girl who plays soccer, she could more easily picture the sights and sounds of the book. She plays soccer and loves sports. This is not a girl who sits inside and watches television or plays PSP. I have been searching, but I thought I'd reach out farther than my own little corner of the world. If you know of a good book that might work for this young lady, would you let me know? I don't know how the commenting works on this blog, to be honest. I'm still too new at this. If you'd like to comment and respond to my plea, please do so. One day, against my wishes, my husband gave me a Kindle Fire. It was not love at first sight, but Kindle and I did start out with a little polite conversation. Gradually, as we got used to each other, we became casual friends. As time went by, the friendship between us grew because I gained a slow appreciation for the things Kindle could give me that I did not have before. For instance, Kindle is great at giving me instant definition gratification by telling me what a word means in an ebook without having to go to any other source! Isn't that wonderful?! And speaking of instant gratification, I like that I can finish a book at midnight and desperately want to read another book by that author, or the next book in the series, and Kindle will fetch it for me right away! I don't have to drive to the bookstore (which isn't close to my house and, most certainly, isn't open at midnight). Another great thing? Kindle is always pleasing to my eyes. He always looks neat and clean and handsome in his red leather jacket, and I love that I can make his text any size I want. He is also quite the gentleman and always carries my ebooks for me. He is very strong and can carry as many as I'd like to take with me anywhere I want to go! That is a wonderful thing about taking trips with Kindle. He also never complains that I'm taking too much to read on vacation. I think, though, that what I like the most about Kindle - and our well-cultivated friendship - is that he always knows what I want. He can tell a lot about me from the things I read and knows my preferences. Not only is he not jealous of my reading time, he encourages me to read even more! When Kindle suggests something, I am seldom disappointed by his ebook recommendations. It's like...he can read my mind! While Kindle and I are very close friends, and he is often there when I need him, he knows I do not love him. I like him very, very much. I always enjoy our time together, and it is always productive. Kindle knows, though, that I could never love him like I love...Book. You see, Book is very special and very dear to me. He is the only one I want to cuddle up with at night, even though he needs a light to be seen. He is the only one I want to sit in front of the fireplace with or enjoy having coffee with, even though he's a little more complicated and can sometimes be difficult to handle with all the sticky notes, highlighters, pens, and pencils. Yes, Book takes a little more patience sometimes, but I think he is worth the extra effort. Besides, nothing else looks and feels and smells like Book,...and he's still handsome to me, even though his pages may be a little worn. I know he isn't the newest thing on the market, but he is the longest lasting and the most loyal. He doesn't need a battery or a charge or a plug...ever. 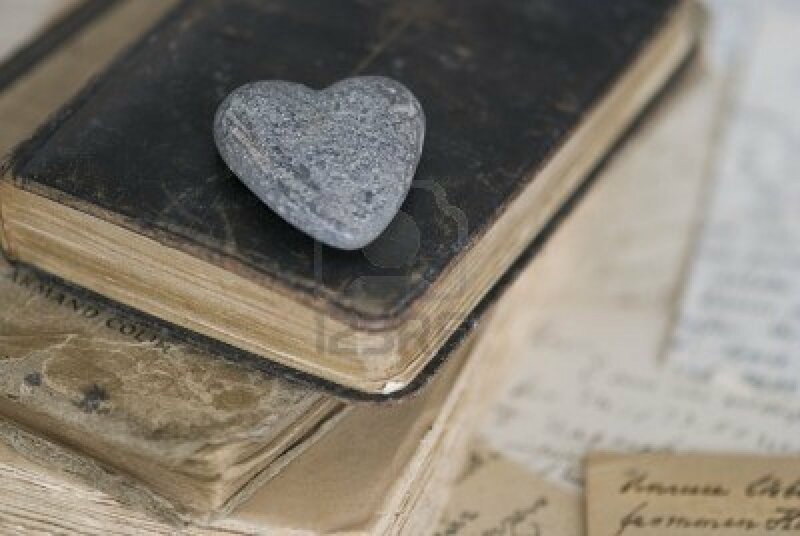 Most importantly, Book has always been there for me,...and I know he always will be. Yes, Mr. Kindle may have a fire I appreciate, but Mr. Book will always have my heart. I assure you that both Will and Halt are worthy of my love...and yours. They are the kind of guys that middle school boys want to be like and middle school girls can admire. (I know you're thinking, "Wait. Ummm, middle school?") Actually, every man should want to be like them and every woman should want to admire them...but the Ranger's Apprentice series is written for middle school students. Once upon a time there was a twelve-year-old boy who hated to read. There was only one series that he liked. Well, needless to say, when this boy 'who hated reading' told me that I just had to read The Ranger's Apprentice series, I did exactly that. I was hooked and in love long before I got to the end of the first book! With each book in the series, I kept thinking there was no way the author could continue to make the next one as good as the one before it - but he does! While there isn't one single book that I could pick as my "most favorite" (because I love them all), I am a little sentimental. 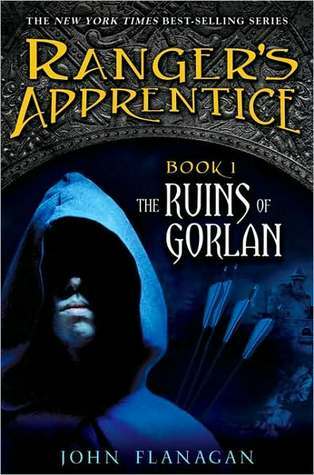 Like a first love, I am partial to the first book The Ruins of Gorlan where I met Will and Halt for the first time. You know, when we were all a little younger, a little more naive, and a little less weary from our battles and travels and adventures. A note about any book series: A series has to be really good for me to invest my time. I don't like reading a series until it is completed, when I can help it. Once I start one, I like to read straight through without reading anything else in between. I do not recommend series very often, but I do highly recommend this one.